The 28th Infantry Division Association conducts several annual events that fullfill the purpose of the organization. Some are to raise funds for projects and others are for fun and fellowship. We try to have a variety of events so that we have something for everyone. If there is an event that you would like to see, let us know. The foremost event is the Annual Conference and Reunion, held each year at Fort Indiantown Gap. The is the major activity of the 28th Infantry Division Association's mission. It is a good time for all veterans, both peacetime and combat, plus divisional units that have been deployed to come together to strengthen old friendships and forge new ones. The Annual Reunion is held the Wednesday through Saturday after the Labor Day holiday. 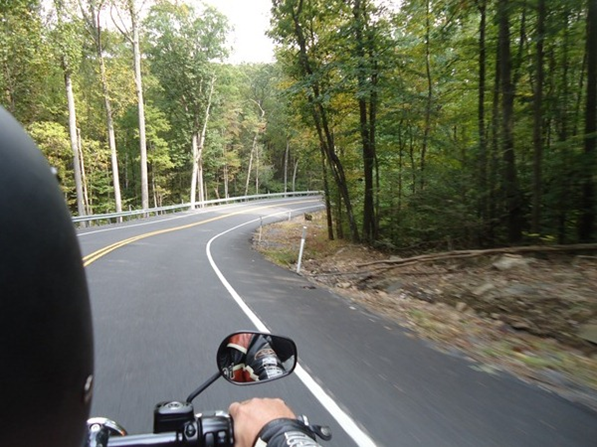 Tours of Fort Indiantown Gap, local excursions and a day trip to a place of historical interest are some of the activities available to reunion participants. 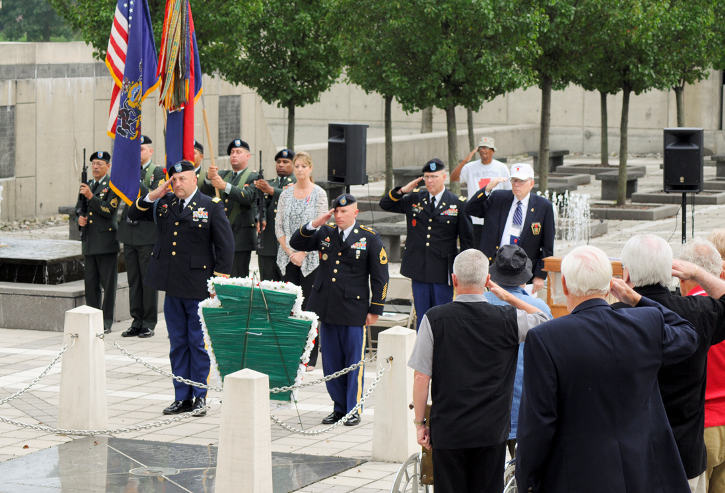 The week concludes with a memorial service at Indiantown Gap National Cemetery and a Veteran's Banquet. 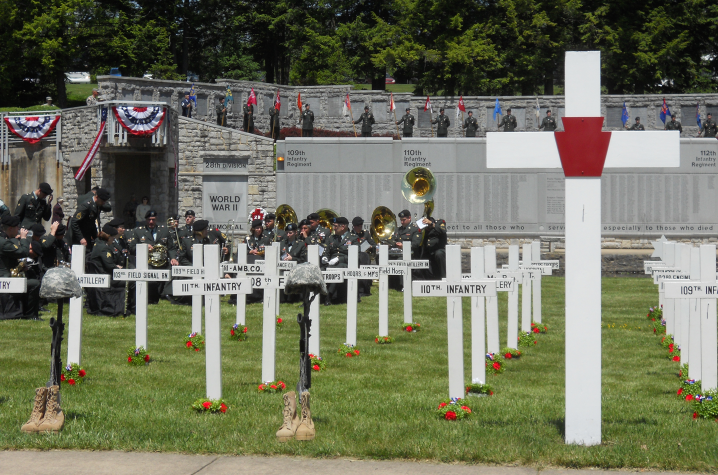 The 28th Infantry Division Association also conducts an Annual 28th Infantry Division Memorial Service at the 28th Infantry Division Shrine in Boalsburg, Pennsylvania. The memorial service is held the Sunday after Armed Forces Day in May. The Annual Benefit Auction is held in the spring. The purpose for the event is to raise funds for projects that fulfill the mission of the organization, specifically, 28th Infantry Division Scholarship Fund. The newest event is the Association's annual Ride for Remembrance in memory of all of the casualties of the War on Terror since 9/11. The Ride is held in September after the reunion. All the Proceeds from the event benefit the 28th Infantry Division Association Memorial Fund. In the past, we have had participated in Community Night at the Harrisburg Senators and sponsored Guard Day at Twin Ponds-East for Veteran's Day.